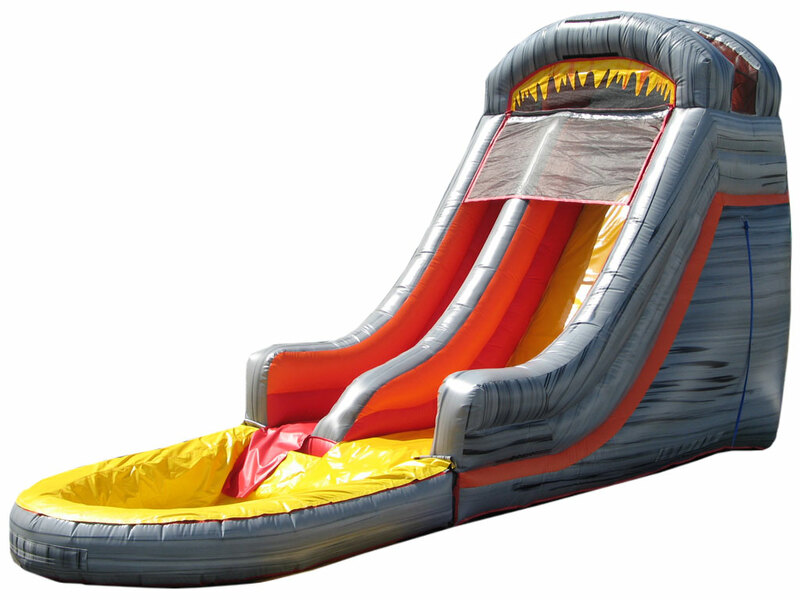 Dream Bounce's Volcano Slide is loaded with the latest water slide improvements! Front loading entrance and exit make it easy to squeeze into more locations. Wave-shaped landing walls and curved pool edge add a real fiery flair! The 52° angle slide leaves the rider screaming...for more! Once at the bottom, relax and splash in the cozy yet spacious landing pool!